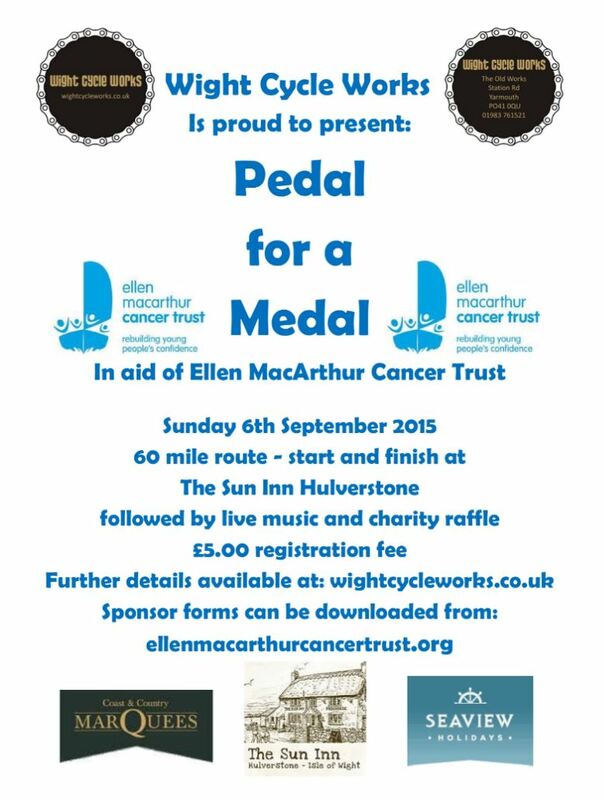 This event is on Sept 6 2015 and starts at the Sun Hulverstone. On completion medals will be given and the cost of the event is £5 registration fee on the day. Sponsor forms can be downloaded from the Ellen Mcarthur Trust Website. The ride is roughly 60miles followed by a day of fundraising , including a huge raffle. Prizes include a new mountain bike, holidays etc. There will be a climbing wall and 13 top Island bands will be playing on stage!